Rakowitz, Michael, Spoils. Project publication. Creative Time, 2011. Rakowitz, Michael. Strike The Empire Back. Exhibition publication. London:Tate Modern, 2010. Smith, Stephanie and Nicola Setari. Michael Rakowitz. Recent Projects on Baghdad and Montreal. Exhibition catalogue. Montreal: SBC Gallery, 2009. Rakowitz, Michael and Harrell Fletcher. Between Artists: Harrell Fletcher and Michael Rakowitz. New York: A.R.T. Press, 2008. Christov-Bakargiev, Carolyn. Michael Rakowitz: Circumventions. Paris: onestar press/Dena Foundation, 2003. Beekmans, Joeren and Joop de Boer. “Pop-Up City: City-Making in a Fluid World,” BIS, 2014 pp. 34-37. Schwartzman, Madeline. See Yourself Sensing: Redefining Human Perception. Black Dog Publishing, 2011. Dalton, Trinie. "Michael Rakowitz," in Vitamin 3-D. Phaidon Press, London & New York, 2009: 238-239. Rakowitz, Michael. "Scheme 23a," in System Error: War Is A Force That Gives Us Meaning. Edited by L. Fusi and N. Mohaiemen. Silvana Editoriale, 2007: 129-137. Chasin, Noah. "Stolen Architecture / Neo-Ad hocism / Bricolage" in Less: Alternative Living Strategies. Edited by G. Scardi. 2006: 238-251. Babias, M., W. Hocquel, et al. Wie Architektur sozial denken kann. Verlag für Moderne Kunst, 2006: front cover, 297. Rakowitz, Michael. "paraSITE," "Climate Control," and "Rise," in Going Aerial. 2006: 78-83. Murphy, Diana. Design Like You Give a Damn: Architectural Responses to Humanitarian Crises. Distributed Art Publishers, New York, 2006: 190-193. Pasternak, A., K. Smith, et al. Who Cares. Creative Time Books, New York, 2006: 62-95; 150-151; 169; 182. Ehrlich, Ken and Brandon Labelle. Surface Tension Supplement No. 1. Errant Bodies Press, Copenhagen and Los Angeles, 2006: 111. Echavarría, Pilar M. Portable Architecture and Unpredictable Surroundings. Links Books, Barcelona, Spain, 2005: 186-191. Rakowitz, Michael. "paraSITE Shelter" in Rooftop Architecture. Edited by E. Vreedenburgh and E. Melet. 2005: 92-93. Rakowitz, Michael. 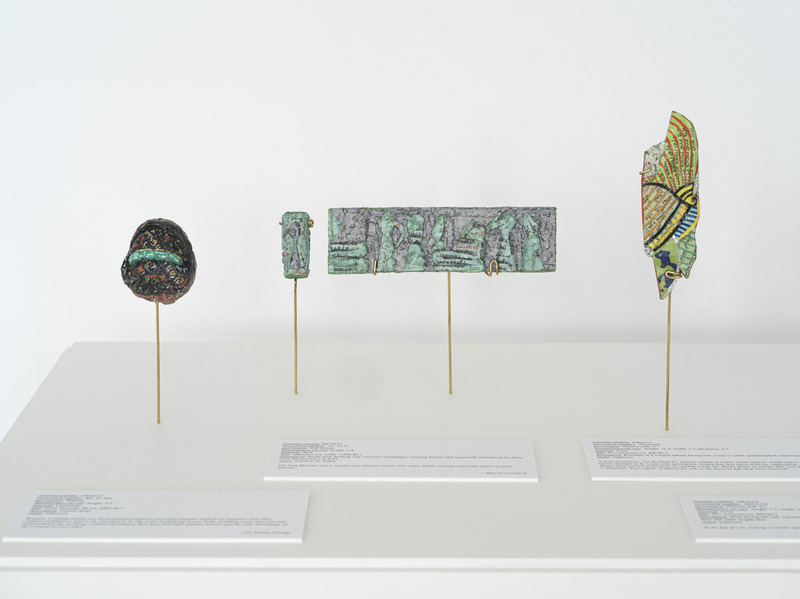 “Works: Michael Rakowitz,” in Surface Tension. Edited by B. LaBelle. Errant Bodies Press, 2003: 49-56. Smith, C. and S. Topham. Xtreme Houses. Prestel Publishing, 2002: 140-143. Rakowitz, Michael. “paraSITE” in Non-Plan: Essays on Freedom, Participation, and Change in Modern Architecture and Urbanism. Edited by Jonathan Hughes and Simon Sadler. The Architectural Press, Cambridge, UK, 2000: 232-235. Rakowitz, Michael; Ella Shohat; Regine Basha. 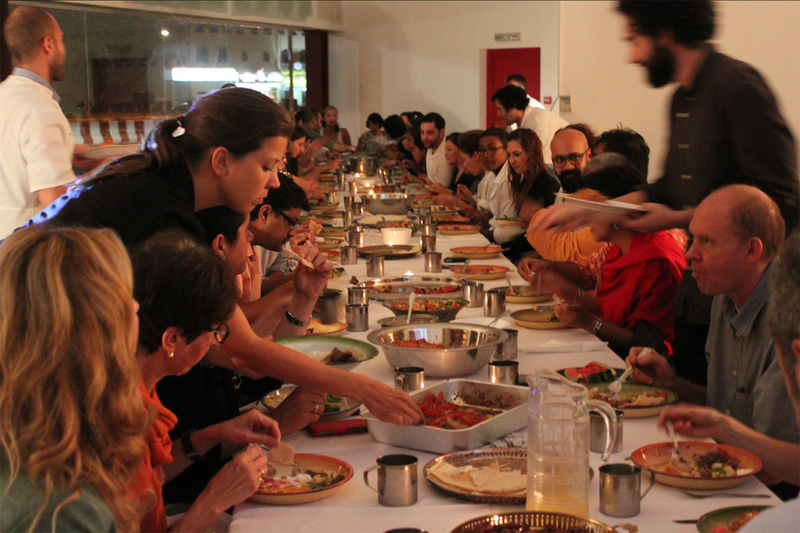 “You Are Eating A Dying Language From The Plate Of A Ghost: A Conversation on Dar Al Sulh,” Creative Time Reports, October 20, 2014. Isé, Claudine. “Unearthing Contemporary Art in Chicago and Elmhurst,” Chicago Tribune, December 18, 2013. Chamas, Sophie. “Iraqi-Jewish Cuisine Revived in Dubai,” Mashallah News, August 10, 2013. Roelstraete, Dieter. “Documenta 13,” Artforum, October 2012, pp. 256-257149, September 2012. Meade, Fionn. 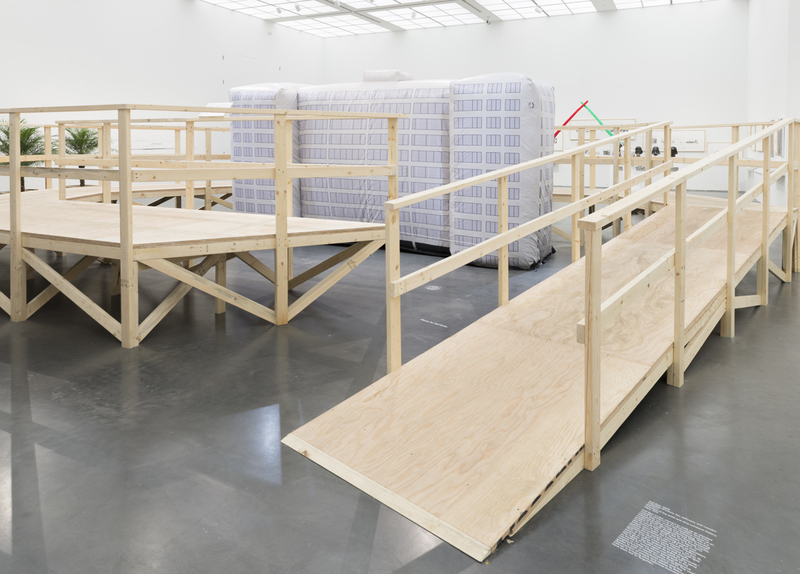 “Reenchanted, Object-Oriented,” (review of dOCUMENTA) Spike Art Quarterly, No. 33, Autumn 2012. Caruth, Nicole. 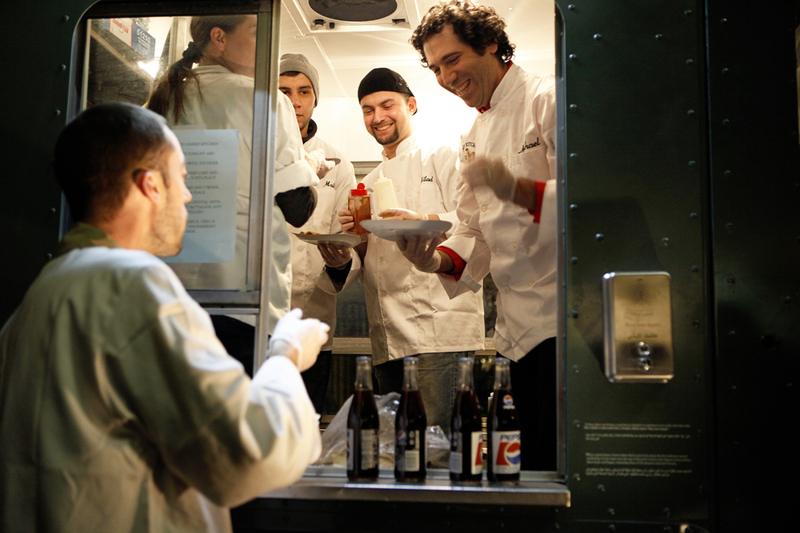 “Gastro-Vision: Iraqi Cuisine Goes Mobile,” Art 21 Blog, February 17, 2012. Radikal Hayat, Istanbul, Turkey, February 4, 2012. Tezapsidis, Elias. “Be My Date: The Spoils of Michael Rakowitz”, BOMBlog, October 7, 2011. Whyte, Murray. “War, Nazis and Videotape,” The Toronto Star, June 19, 2010. Holl, Christian. “In der Welt der Kapseln: Schwimmende Städte für Klimaflüchtlinge und Abluftwärme-Zelte für Obdachlose: Die Ausstellung ‘Klimakapseln’ in Hamburg zeigt Zukunftsszenarien aus vier Jahrzehnten,” Frankfurter Rundschau, June 6, 2010. Vali, Murtaza. “The Storyteller,” Bidoun Magazine, Issue 21: Bazaar II, Summer 2010. Hudson, Suzanne. “The Storyteller,” Artforum, Summer 2010:387. Wilkins, Jonathan. “Exploring the Dark Side: Interview with Michael Rakowitz,” Star Wars Insider, April 2010: 50-51. Merjian, Ara H. “The Storyteller,” Artforum.com, March 24, 2010. Coomer, Martin. “Michael Rakowitz: The worst condition is to pass under a sword which is not one’s own,” Time Out London, March 4, 2010. Sherwin, Skye. 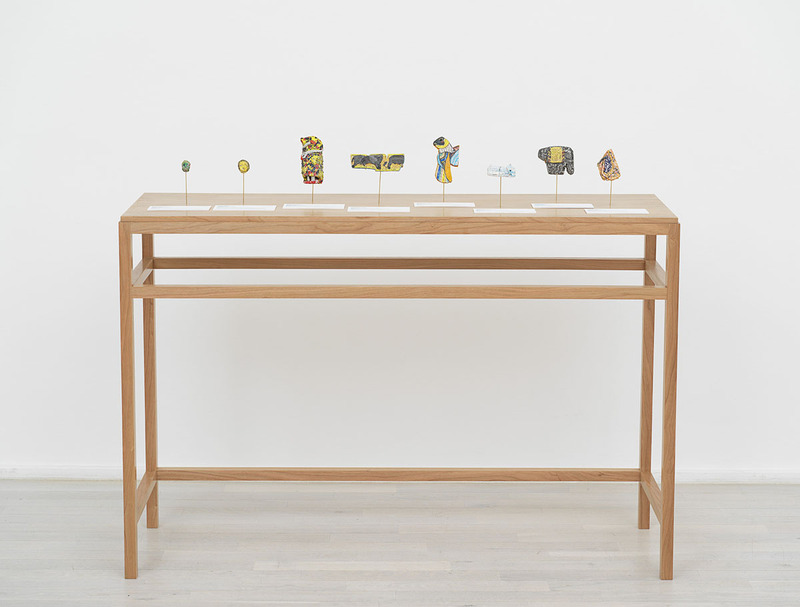 “Artist of the week 73: Michael Rakowitz. 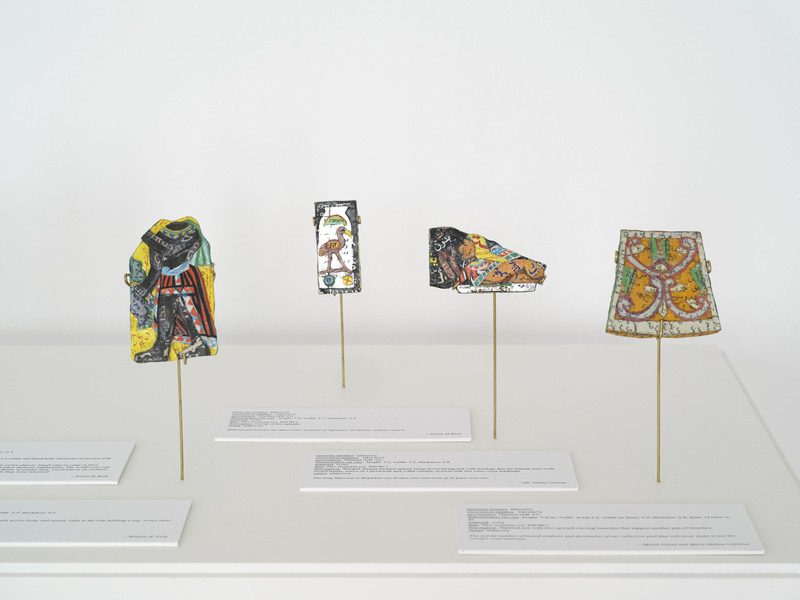 From homeless shelters to Iraqi heirlooms, Rakowitz‘s political art tackles the cultural erasure brought about by poverty and war,” The Guardian, February 3, 2010. Jury, Louise. “Art Strikes Back: Saddam Hussein’s Swords Recreated,” The London Evening Standard, January 25, 2010: 25. Rakowitz, Michael. “Orange,” Tate Etc., Issue 18—Spring 2010: 103. Heartney, Eleanor. 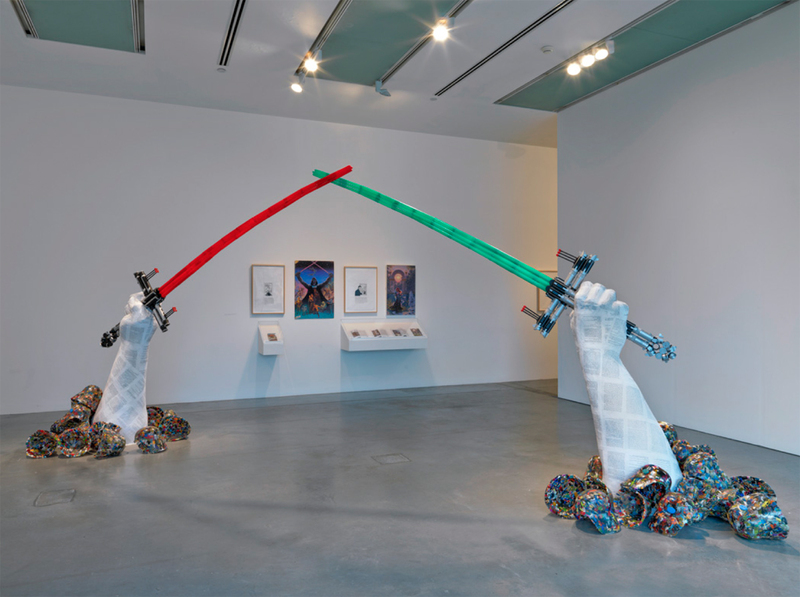 “Review: Michael Rakowitz, ‘The worst condition is to pass under a sword which is not one’s own,’” Art in America, September 2009: 143. Glover, Michael. Review of “Transmission Interrupted,” ArtReview, Summer 2009: 127. Haq, Nav. Review of “Transmission Interrupted,” Frieze, Summer 2009: 199. Cuy, Sofia Hérnandez Chong. “Storytelling,” Afterall 21, Summer 2009: 80-88. Smith, Stephanie. "A Visionary Dream, Unrealized: The Drawings of Michael Rakowitz," Afterall 21, Summer 2009: 71-79. Delgado, Jérome. "L‘histoire fait art," Le Devoir, May 19, 2009: B9. Redfern, Christine. “Looted Baghdad Treasures Are Recreated with Paper,” Montreal Gazette, June 6, 2009: E10. Cash, Stephanie, Donny George and Michael Rakowitz. 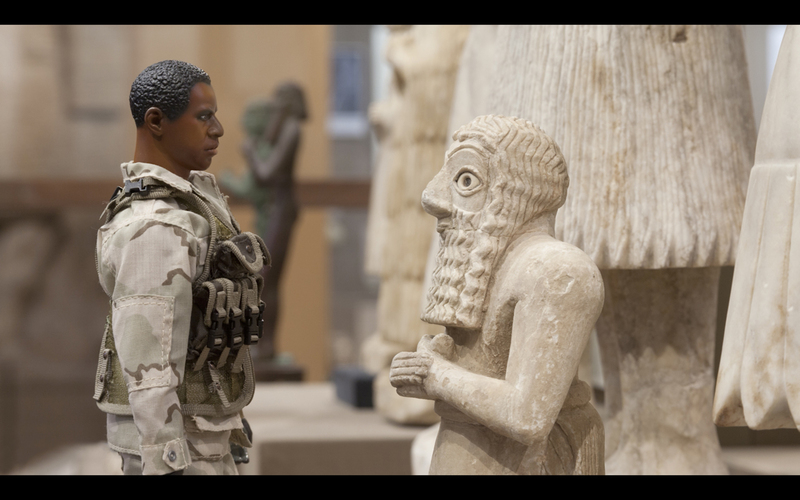 "Protecting Culture: Baghdad," Art in America, May 2009: 29-30, 32. Rosenberg, Karen. 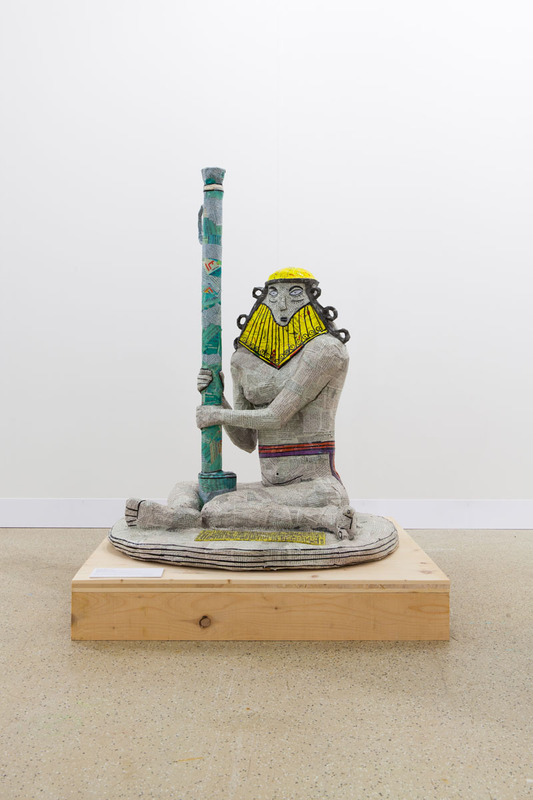 “Art Review: Michael Rakowitz, ‘The worst condition is to pass under a sword which is not one’s own,’” The New York Times, March 27, 2009: C29. Amado, Miguel. 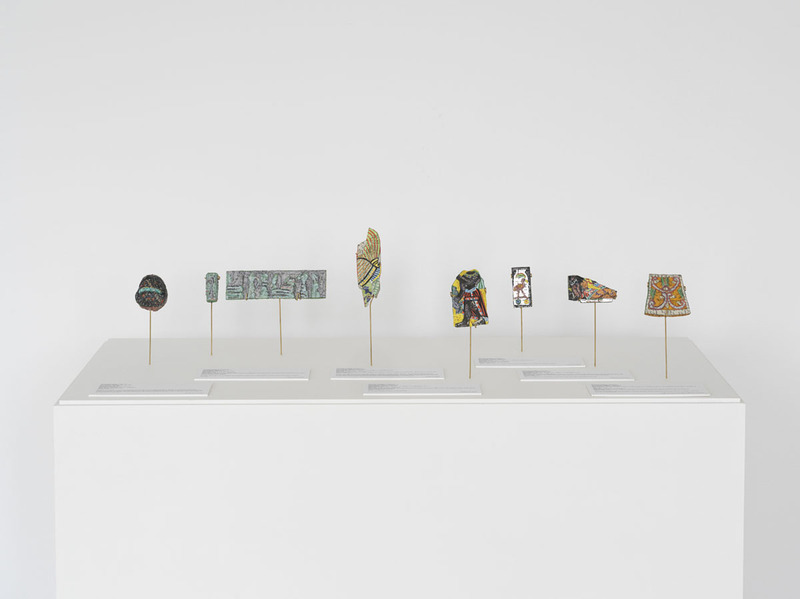 "Critic’s Picks: Michael Rakowitz," Artforum.com, March 23, 2009. Time Out New York, March 19-25, 2009. Pearlman, Alison. “Interactive Art for a Challenged Democracy,” X-TRA Contemporary Art Quarterly 11 no. 3, Spring 2009: 4-15. Rakowitz, Michael. "Strike the Empire Back," Bidoun 16, Winter 2009: 20, 30-31, 129-136. Johnson, Ken. "Aesthetic Withdrawal in the Quest for Ideas," The New York Times, January 23, 2009. Rakowitz, Michael. "paraSITE: Construisez votre abri gonflable," L‘Itinéraire 16 no. 2, January 15, 2009: 2-3. Savary, Jérôme. "Réinventer la ville," L‘Itineraire 16 no. 2, January 15, 2009: 12-13. Hume, Christopher. “ ‘Actions’ anthology a handbook for urban revolutionaries”, The Toronto Star, January 12, 2009. Chong, Adele. "Machines for Living," Blueprint Asia, December 2008-January 2009: 17-20. Feldman, Hannah. “Michael Rakowitz and the tactics of being in-between and everywhere else,” Art & Australia, Winter 2008: 632-638. Mammi, Alessandra. "Nomadi metropolit." L‘Espresso 52, December 31, 2008: 76-79. Volk, Gregory. “The Wheel is Turning,” Art in America, November 2008: 63-69. Begg, Zanny. “Confusion, a Trip to the Dentist and the Biennale of Sydney: aConversation with Carolyn Christov-Bakargiev and Michael Rakowitz”, in Blair French andReuben Keehan (eds), Column 2, Special Issue: 2008 Biennale of Sydney Critical Response, Artspace, Sydney, 2008, pp. 15-24. Fischer, Marc, Gretchen Jennings, and Michael Rakowitz. "The Untimely Closing of Imaginary Coordinates: Three Perspectives," Exhibitionist 27 no. 2, Fall 2008: 60-67. Malone, Micah. "Beyond Green: Toward a Sustainable Art," Artforum.com, October 15, 2008. Smith, Roberta. "Using Old Materials to Put a New Face on a Museum,” The New York Times, September 25, 2008. Velasco, David. "The Greenroom: Reconsidering the Documentary and Contemporary Art (Part 1)," Artforum, September 2008: 203. Tovey, Josephine. “Block Tower,” Sydney Morning Herald, June 23, 2008. “Portfolio: What does it mean to make art during wartime?” Modern Painters, April 2008: 65. Daines, Allison. "paraSITE," Adbusters 76, March-April 2008: n.p. Amado, Miguel. “An Atlas of Events,” Artforum, February 2008: 309. "Creative Capital Announces 2008 Grant Recipients," Artforum.com, January 10, 2008. Rakowitz, Michael. "The Invisible Enemy Should Not Exist," Janus 23, January 2008: 35-45. Rakowitz, Michael. "paraSITE," Uovo, January 2008: 185-193. Rakowitz, Michael. "Enemy Kitchen: Artist Michael Rakowitz and the politics of (Iraqi) food," Bidoun, Winter 2007: 95-6, recipe card inserts. Winn, Steven. "Michael Rakowitz‘s ‘Enemy Kitchen‘ breaks down cultural barriers," San Francisco Chronicle, December 27, 2007: E1. Singer, Debra. "On The Ground: New York," Artforum, December 2007: 284-287. Bishop, Claire. 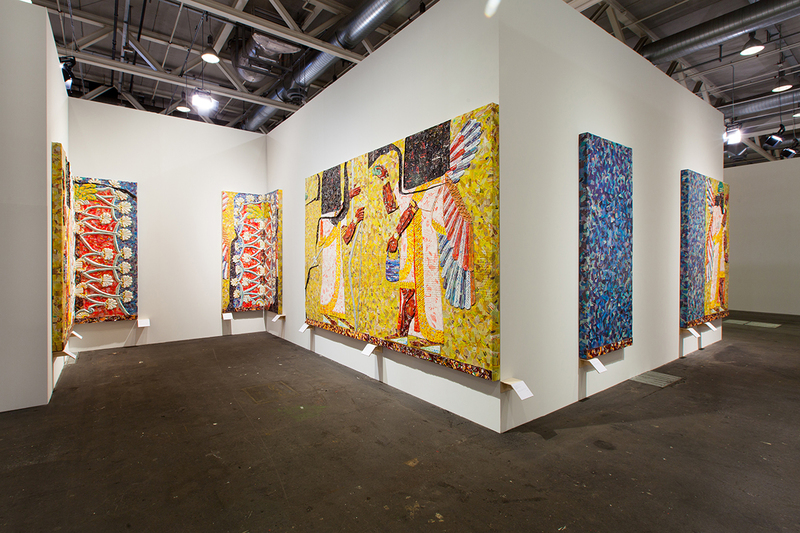 "Art review: 10th International Istanbul Biennial," Artforum, November 2007: 360-361. Johnson, Paddy. "‘The Dotted Line,‘" Time Out New York, November 22-28, 2007: 98. Rakowitz, Michael. "Dull Roar: A Collapse of Buildings, People, and Ideas," Bidoun 12, Fall 2007: unnumbered insert. Tiven, Benjamin. "Art Matters," The Nation, September 19, 2007. Johnson, Liza. "Enemy Kitchen: An Interview with Michael Rakowitz," Gastronomica, Summer 2007: 11-18. Eleey, Peter. "We Sell Iraqi Dates: An Interview with Michael Rakowitz," Uovo 14, July 2007: 272-297. Drobnick, Jim. "Smell - Old Sense, New Art," Fragrance Forum, Spring/Summer 2007: 6-7. Basha, Regine. "Return: A Project by Michael Rakowitz," ArtL!es, Spring 2007: 62-67. Levin, Kim. “Art review: Michael Rakowitz: Lombard-Freid,” ARTnews, April 2007: 136. Richard, Frances. "Art review: Michael Rakowitz, Lombard-Freid Projects," Artforum, April 2007: 276. Boucher, Brian. 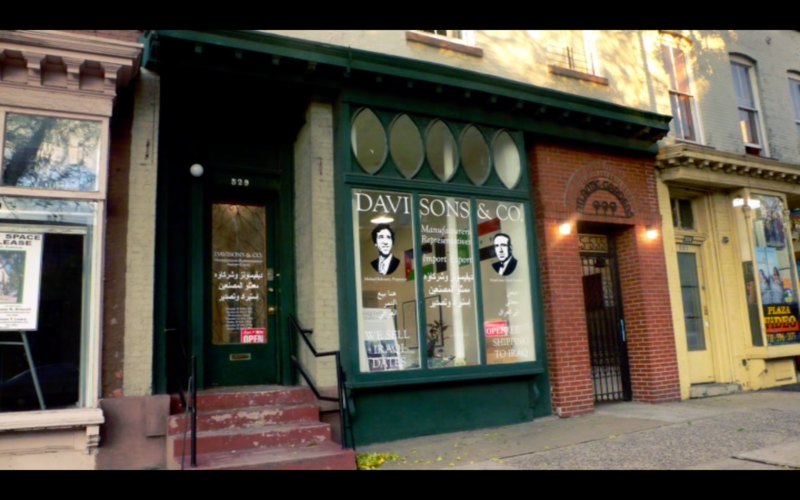 "Babylon Without Borders," Art in America, April 2007: 124-127. Sholette, Gregory. "Sharjah Biennial 8," Artforum.com, April 2007. Dannatt, Adrian. "Revealed: Donny George Rock Star," The Art Newspaper 177, February 2007: 34. Gilman, Claire. "Michael Rakowitz: Return," CAA Reviews, January 29, 2007: online. Mooney, Jake. "Bittersweet Talismans From a Ravaged Land," The New York Times, December 17, 2006. Monahan, Rachel. "Dates with History," New York Daily News, December 15, 2006: 1. Kuntzman, Gersh. "Iraqi dates being sold on Atlantic," The Brooklyn Paper 29 no. 48, December 9, 2006: 4. Lagorio, Christine. "How to Get a Date—From Iraq," www.cbsnews.com, December 7, 2006. Michael Rakowitz, Amy Silman, et al. "The Artists‘ Artists," Artforum, December 2006: 110-111. Kuntzman, Gersh. "Brooklyn artist has ‘date‘ with Iraq," The Brooklyn Paper 29 no. 46, November 25, 2006: 1. Dannatt, Adrian. "Artistic business acumen," The Art Newspaper, November 2006: 40. Fahim. Kareem. "Dates With an Artist: An Iraq Installation," The New York Times, October 10, 2006. Lovšin, Polonica. 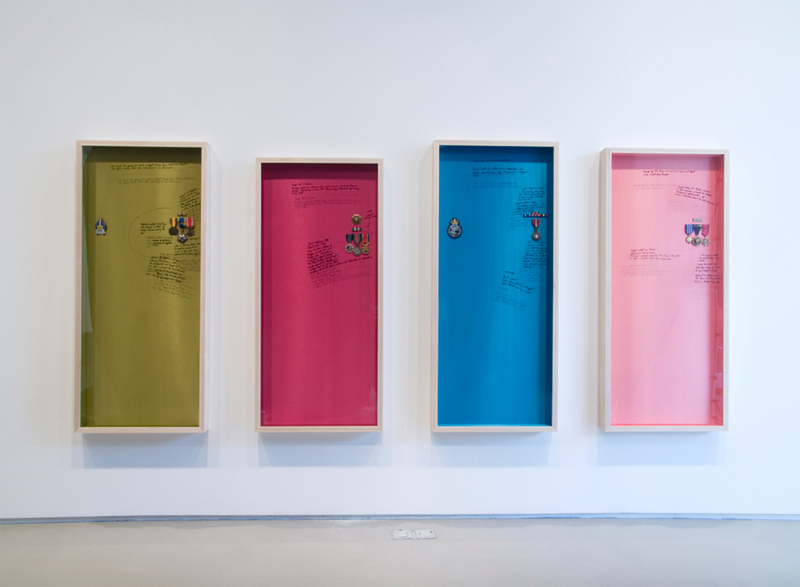 "Symbolic Strategies of Survival: An Interview with Michael Rakowitz," Artivism, 21 no. 101-102, Autumn 2006: 21-29. Cat. "ParaSITES," The Pavement 13, August 2006: 14-17. Eleey, Peter. “Michael Rakowitz: An import-export business, posters, shelters for the homeless and the smell of buns,” Frieze, May 2006: 150. Beatrice, Luca. "Per le Olimpiadi l‘arte contemporanea si fa in diciotto," La Stampa 140 no. 46: 8. Unsigned. "Art review: Beyond Green: Toward a Sustainable Art," The New Yorker, March 13, 2006. Theriault, Kim. “Art review: Beyond Green: Toward a Sustainable Art,” Chicago Reader 35 no. 14, December 30, 2005: 28. Sheets, Hilarie. "Art review: Safe Keeping," Time Out New York, November 10-16, 2005: 50. Belasco, Daniel. “Art review: Michael Rakowitz at Lombard-Freid,” Art in America, November 2005. Dawsey, Jill. “Book review: Surface Tension,” Art Journal 64 no. 3, Fall 2005: 129-131. McClister, Nell. “Art review: Michael Rakowitz, Dull Roar," Artforum, September 2005. Unsigned. “Dull Roar,” Harper’s Bazaar (South Korean edition), Summer 2005: 338. Sholis, Brian. "Inflated Hopes," Artforum.com, June 4, 2005. Priestley, Richard. “Review: Do Not Interrupt Your Activities," a-n magazine, June 2005: 8. Cotter, Holland. “Michael Rakowitz, Dull Roar,” The New York Times, May 27, 2005. Stillman, Nick. "Critic’s Picks: Michael Rakowitz," Artforum.com, May 17, 2005. Boucher, Caroline. "Scissors cut paper...," The Observer, April 24, 2005. Rakowitz, Michael. "Postcard: Yours Sincerely, Wasting Away," Cabinet 17, Spring 2005: special insert. Senaldi, Marco. "For an Artistic Critic on The Economy," Work: Art in Progress, Spring 2005: 27-56. Christov-Bakargiev, Carolyn. 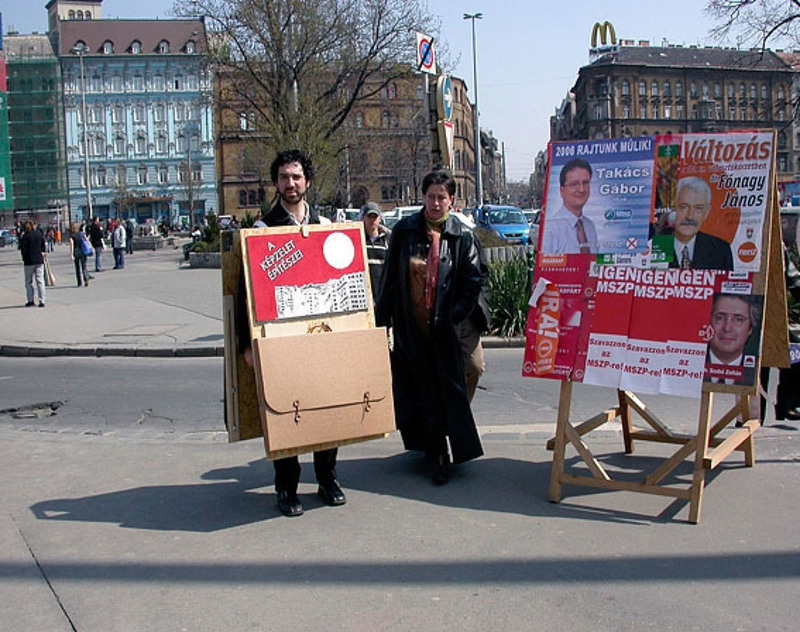 “First Takes: Carolyn Christov-Bakargiev on Michael Rakowitz,” Artforum, January 2005: 147-148. Rakowitz, Michael. "paraSITE," Mister Motley 7, 2005: 12-13. Sharrer, Eva. "Critic’s Picks: Michael Rakowitz," Artforum.com, November 19, 2004. Demos, T.J. “Review: The Interventionists: Art in the Social Sphere," Artforum, November 2004: 228. Nicklas, Jens. "Raum gewinnen," 20er 60, November 2004: 24. Jelcic, Ivona and Gerhild Niedoba. "Kerry vor Bush: Tiroler wählten mit," Die Neue. 34-N, November 3, 2004: 6-7. Jelcic, Ivona. "Votomatics laden zur Stimm-Abgabe," Die Neue 31-N, October 30, 2004: 40. Chasin, Noah. “Rip-Off Culture,” Springerin (Vienna) 10 no. 2, Summer 2004: 40-41, front cover. Buckley, C. et al. "Public space, public dissent," Janus. 16, Spring 2004: 72-76. Princenthal, Nancy. "Nancy Princenthal on Onestar Press," Bookforum, Spring 2004: 55. Sansone, Valentina. "Dena Foundation," Flash Art 37 no. 234, January-February 2004: 54. Evitts, Elizabeth A. “Minarets and paraSITEs: Michael Rakowitz provocatively blurs the lines between design, sculpture, and architecture,” Baltimore Magazine, January 2004. Drobnick, Jim. "Platefuls of Air," Special edition of Public, "Eating Things," no. 30, 2004: 175-193. Rakowitz, Michael. "paraSITE," Room, Autumn 2003: 242-263. Unsigned, "Functional Design," Baltimore Magazine, August 2003: 142. Multiple authors, "An Open Interview and Lunch (February 19-21, 2003)," Fuse Magazine. 23 no. 2, April 2003: 12-13. Rakowitz, Michael. "Minaret," Rethinking Marxism 15, No. 3, July 2003: 410-411, 442. Cotter, Holland. "Uptown, Too, Has Heat and Light Aplenty," The New York Times, May 30, 2003. Van Hinte, Ed, et al. "Close to clothes," Smart Architecture, January 2003: 109-110. Altmann, Susanne. "‘Get rid of yourself‘ — 10 activist artists/groups from USA," Umelec 7 no. 2, 2003: 24. Gabriel, Andreas. "Why Plastic?" Detail, December 2002: 1544-1548. Sheets, Hilarie. "Strange Comfort," ArtNews, September 2002: 140-143. Goldstrasz, Thomas. "INSIDEOUT: Kunstbenutzung oder Kunstbetrachtung von innen oder von außen?" Rakowitz, Michael. "paraSITE," Rethinking Marxism 14 no. 2, Summer 2002: 87-101. Urban, Regina. "New York im Untergrund," Nürnberger Nachrichten, April 11, 2002. Boucher, Brian. “Breach: A project by Michael Rakowitz,” Review.thing.net, March 2002: bbs.thing.net. Guzmán, Pilar. 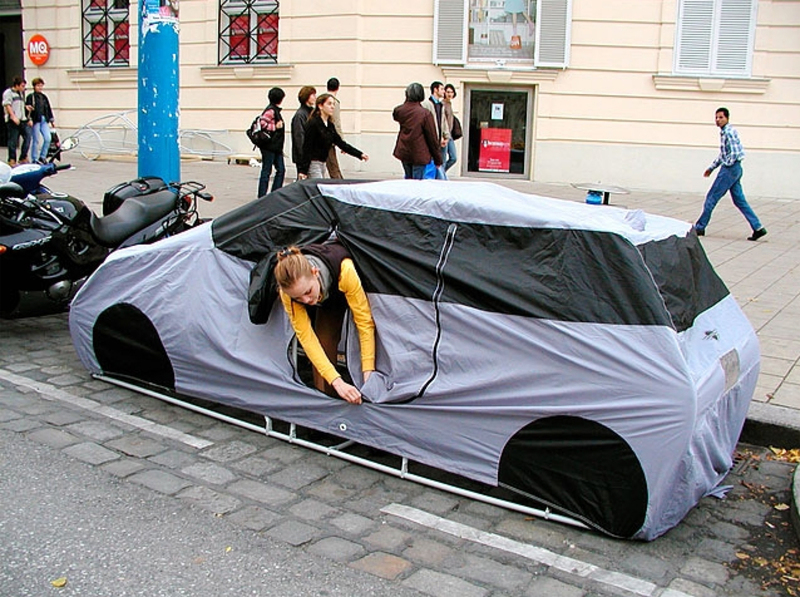 "Shelter: A Portable Sleeping Place Wins a Top Prize in Design," The New York Times: February 14, 2002. Unsigned and Untitled interview and focus on recent projects, Design Monthly South Korea, September 2001: 18-19. Rahm, Phillipe. “Invisible Architecture: Electromagnetic & Chemical Space,” Artpress (Paris), April 2001: 45-50. Pfeiffer, Tiffany. "Sidewalk Shelter," Release San Francisco, April 2001: n.p. Boucher, Brian. “Concerted Compassionism,” thing.net, 2000: bbs.thing.net. Schmerler, Sarah. "Concerted Compassionism," Time Out New York, October 5-12, 2000: 65. Chen, Aric. “Forty Issues: Forty socially conscious designers,” I.D. Magazine, February 2001: 66. Nieves, Evelyn. "Is a crackdown the answer?" New York Times Upfront 132 no. 11, January 31, 2000: 15-17. Pollak, Michael. “Artwork That Doubles As Homes for the Homeless,” The New York Times. October 1, 2000. Noe, N. Rain. "January 2000 design news: Homelessly Devoted To You," Core77, January 2000: www.core77.com/news/archive_01_00.html. Boucher, Brian, William V. Ganis, and Eva Scharrer. Essays on Climate Control, 2000-2001: www.ps1.org. Rakowitz, Michael. "Publicly Acquired, Privately Owned," Thresholds: Creativity in Consumer Cultur no. 15, Fall 1997: 55-59. Von Borries, Friedrich. Klimakapseln. Suhrkamp Verlag Berlin, 2010. Gilman, Claire and Margaret Sundell, eds. The Storyteller. JRP/Ringier, Zurich, 2010. Cotter, Suzanne and Gilane Tawadros. Transmission Interrupted. Modern Art Oxford, 2009: 18-21, back cover. Begg, Zanny and Keg de Souza. There Goes The Neighbourhood. Performance Space, Sydney, Australia: 2009: 26-29. Rakowitz, Michael, et al. Actions: What You Can Do With the City, edited by G. Borasi and M. Zardini.Canadian Center for Architecture, 2009: 132, 133. Smith, Stephanie. "Michael Rakowitz," in Beyond Green, 2005-2009: 118-125. Rakowitz, Michael. "Michael Rakowitz," in Second Lives: Remixing the Ordinary, 2008-2009: 172-175. Antliff, A., S. Petsche, et al. Dissident Art: Art + Anarchy Montreal. 55 Nôtre-Dame West, 2008. Barboni, Lorenza, ed. "paraSITE" in Reactivate!! Espai D‘Art Contemporani de Castello, 2008: 110. Taste 3. Robert Mondavi Winery, 2008: 59. Aksenova, Y., J. Birch, et al. F.R. DAVID - "The Book of Intentions." de Appel art centre, 2008: 169-171. Duggan, Ginger G. and Judith H. Fox. Blown Away. Krannert Art Museum and Kinkhead Pavilion, 2008: 38-41, 186. Rakowitz, Michael. "Michael Rakowitz," in Shelter X Survival – Alternative Homes for Fantastic Lives. Hiroshima City Museum of Contemporary Art, Hiroshima Japan, 2008: 42-45. Christov-Bakargiev, Carolyn, et al. Revolutions—Forms That Turn. Biennale of Sydney, 2008: 91, 296. Christov-Bakargiev, Carolyn, et al. 16th Biennale of Sydney Report. Biennale of Sydney, 2008: 24, 26-27, 29, 54. Sholis, Brian. "Michael Rakowitz," in An Atlas of Events. Edited by A.P. Ribeiro, D. Singer and E.S. Öktem. Calouste Gulbenkian Foundation, 2007: 56, 57.
International Istanbul Biennial, 2007: 358-359. Rakowitz, Michael. "The invisible enemy should not exist," in Sharjah Biennial 8, 2007: 228-229. L.I.G.H.T. Gwangju Design Biennale, 2007: 194. Cuy, Sofía Hernández Chong. "T1 Report #2," in The Pantagruel Syndrome. Edited by F. Bonami and C.
Christov-Bakargiev. Skira, Turin, 2006: 65-67, 384-390. Rakowitz, Michael. “(P)LOT,” in Mind The Gap. Smack Mellon Gallery, 2006: 40-41. Rakowitz, Michael. "Greetings From Stowe, Vermont,” in The Sociographic View: Or, When Heinrich Heine crossed the multiverse hitchhiking... Innsbruck, 2006: 159-175. Rakowitz, Michael. "Return," in Dynasty, 2006: n.p. Rakowitz, Michael. "paraSITE," in Revisiting Home. NGBK, Berlin, Germany: 98-101. Rakowitz, Michael. "(P)LOT," in A Lucky Strike Art Takes Place. 2005: 65-67. Rakowitz, Michael. "Michael Rakowitz" in Tirana Biennale 3. 2005: 320-324. Rakowitz, Michael. "Michael Rakowitz." Do Not Interrupt Your Activities. April 8 - May 1 2005: 70-75. Flamigni, F. and R. Tenconi. Inhabituel. Dena Foundation for Contemporary Art, Milan, 2005: 118-119. Rakowitz, Michael. "paraSITE," in Transmediale 05: BASICS. Berlin, Germany, 2005: 54. McKie, S.Z. Jamaica Flux: Workspaces & Windows. Jamaica Center for Arts & Learning, Inc. 2005: 50-51. Antonelli, Paola. Safe: Design Takes On Risk. The Museum of Modern Art, New York, 2005: 68. Rakowitz, Michael. "ad hoc" and "paraSITE," in Borne of Necessity. Weatherspoon Art Museum, 2004: 56-59. Block, René, et al. "paraSITE" in Adaptations. Kunst Halle Fridericianum, 2004: 22-23, 31. N. Thompson, et, al. “Michael Rakowitz," in The Interventionists: Art in the Social Sphere. Cambridge, MA, MIT Press, 2004: 33-34. Homeland. The Whitney Museum of American Art Independent Studio Program, 2003: 29, 38-45. Rakowitz, Michael. "Powerplay," in insideout: Fünftes Festival der Neuen Kunst. 2002: 46-47. Bane, Carolyn. "Michael Rakowitz," in Queens International. Queens Museum of Art, 2002: 13, 23. Clements, Paul. Utopia Now! Sonoma Museum of Contemporary Art and CCAC Institute, CA 2001: 24-25, 51. BBC World News. “Tate explores link between Saddam and Star Wars,” January 26, 2010. Chicago Public Radio. “Worldview,” April 17, 2009. Smith, Amanda. “Artworks: Michael Rakowitz and White Man Got No Dreaming,” ABC Radio National, Australia, June 22, 2008. “Iraqi Dates Come to Brooklyn,” ABC Television World News, 8 Dec 2006. Public Radio, WBEZ, and NPR affiliate, March 2009. “Spoils of War: Importing Dates, Iraqi-style,” podcast on Nextbook.org. Rosenbaum, Lee and Richard Hake. “The Museum of Arts and Design Opens in Columbus Circle,” WNYC, an NPR affiliate, September 23, 2008. Aronczyk, Amanda. “Delicious Iraqi Dates,” Weekend America, December 16, 2006, National Public Radio affiliates (syndicated nationwide and on the Internet), by American Public Media. Lehrer, Brian. “The Space Between Us,” The Brian Lehrer Show, WNYC, an NPR affiliate, April 26, 2006. Lehrer, Brian. “paraSITE Homeless Shelters,” The Brian Lehrer Show, WNYC, an NPR affiliate, December 28, 1999. Feature on “paraSITE” and reaction from Mayor Giuliani and City Hall, CBS News, New York City (Channel 2), December 27, 1999. Spoils, Park Avenue Restaurant, New York, USA. Collaboration on a dish with Chef Kevin Lasko, curated by Creative Time. Other artists in the seasonal series are Marina Abromovic, Janine Antoni, and Paul Ramirez Jonas. 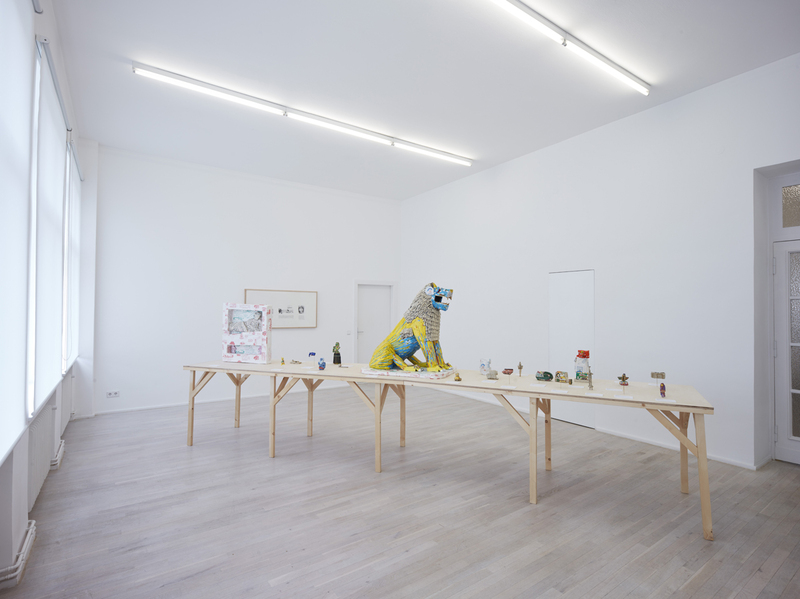 Article about Michael Rakowitz‘s 2018 solo show at our gallery in Artforum‘s January 2019 issue by Gökcan Demirkazik. Michael Rakowitz on his project at Art Basel Unlimited 2018. 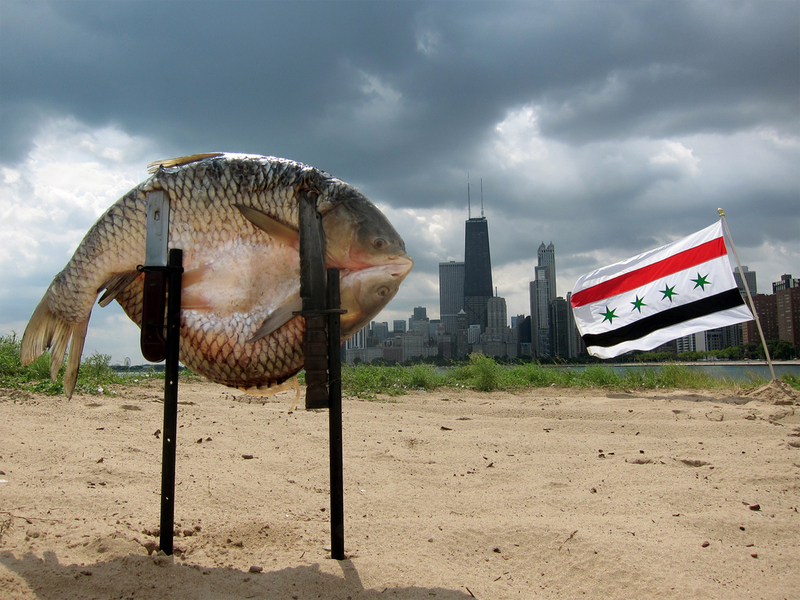 Watch the Iraqi-American artist discuss fighting cultural erasure with food packaging. Email conversation between Michael Rakowitz and Cecilia Fajardo-Hill and videos (including lectures) for the Herb Alpert Award in the Arts that Rakowitz won in 2018.